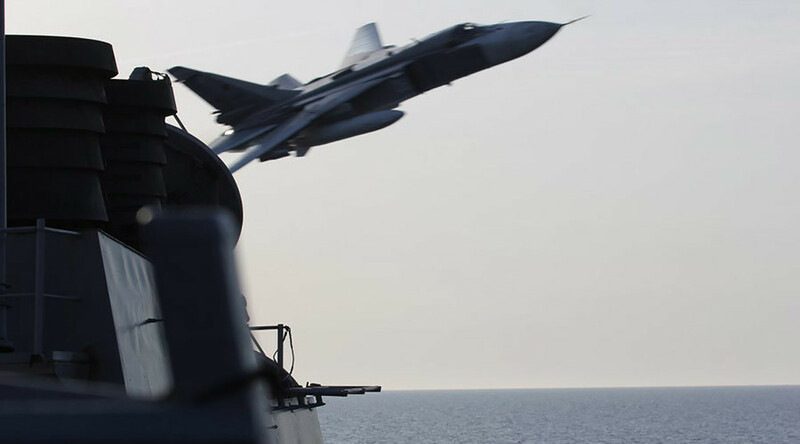 The aerobatics skills of Russian pilots over the US destroyer Donald Cook in the Baltic Sea left the Pentagon and other US official running for cover in Washington over “aggressive close interactions” with Russian fighter jets. Releasing the footage of Russian jet flybys in the vicinity of the destroyer, the US Navy said that its vessel has encountered multiple “aggressive flight maneuvers ...within close proximity of the ship,” some as close as 30 feet (10 meters) on Monday and Tuesday. The Donald Cook happened to be around 70km away from a Russian naval base when the Su-24 planes passed by, according to the Russian Defense Ministry spokesman Major General Igor Konashenkov. “On April 13, the pilots of the Russian Air Force Su-24 planes took part in a training exercise over international waters in the Baltic Sea. Their route took them to an area where the USS Donald Cook was present, around 70km from a Russian naval base,” he said, as cited by TASS. Konashenkov added that all flights undertaken by the Russian Air Force strictly follow all international rules when traveling over neutral waters. “Having located the ship in a zone of visual sight, the Russian pilots undertook a maneuver that was in accordance with all the necessary safety rules,” he said, while they Russian Defense Ministry questioned why the Americans were making such a big deal about the incident. “He is on the deck below the bridge lane...It looks like he’ll be coming in across the flight deck, coming in low, bridge wing level...Over the bow, right turn, over the bow...” the voiceover on the footage states in what looks more like an instructor’s advice on how to maneuver in open waters, rather than the panic that the central command presented it to be. At least on the video no one can be seen running for cover. Meanwhile, a White House spokesman said Thursday that the US has raised the topic with Russia, and the two sides are in the process of discussing mutual concerns. 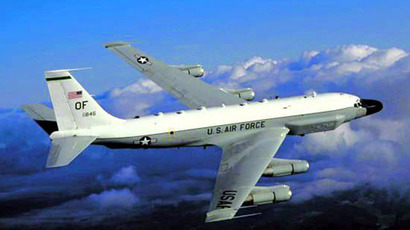 “As you have seen in the media, the flybys were very low, very fast – and were inconsistent with the normal operations of international militaries in international waters and in international airspace,” the commander stressed, while noting that his ship, as a destroyer, was designed to combat this kind of threat if necessary.